Sometimes I get a wild hair and decided to make some treats just so they can match to some tags. 😉 But really, what treats aren’t made to be paired with a cute tag. Maybe it’s because my kids are home for the summer. I’m half crazy when they are here because, I’m a work from home mom, and trying to find a good balance of work and momming is hard. 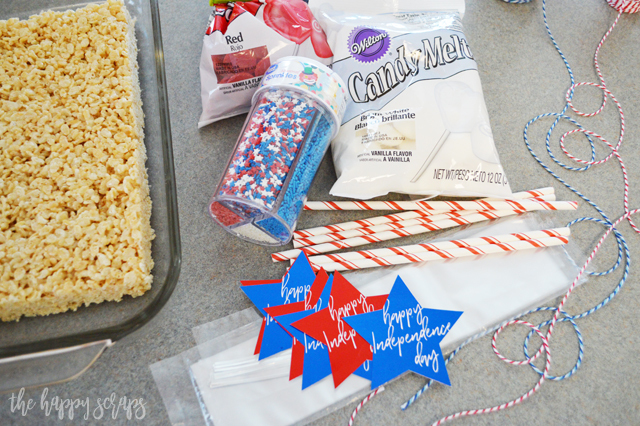 Earlier this week I shared the Happy Independence Day Foil Tags with you, and today I’m showing you how easy these 4th of July Rice Krispie Treats are to make to tie those tags onto. 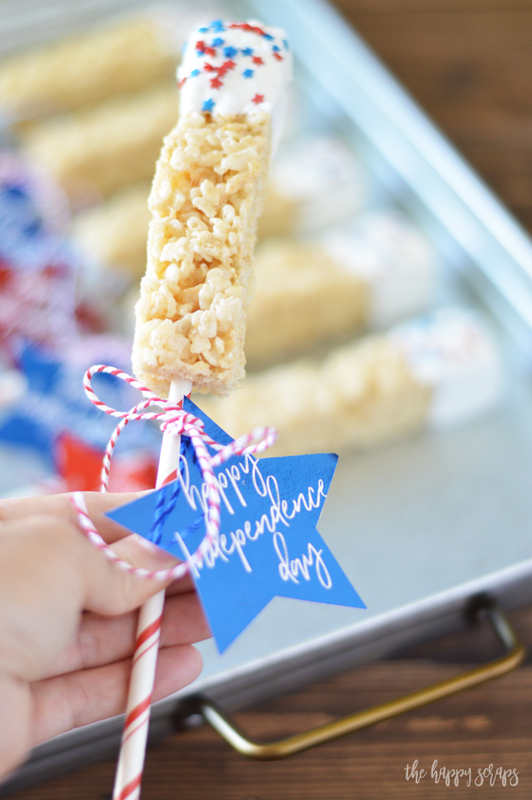 This 4th of July Rice Krispie Treats post contains affiliate links. If you click on an affiliate link and purchase something, you won’t pay anything extra, but it will help support this blog. 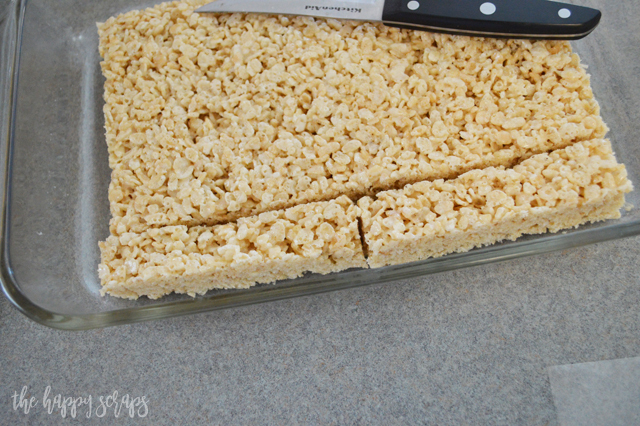 Start by cutting your rice krispie treats into long skinny rectangles. Put a paper straw into the end of them. 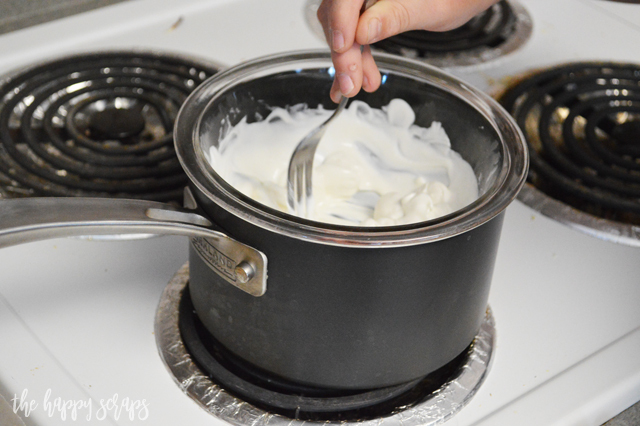 Melt some of the vanilla candy melts in a double boiler. 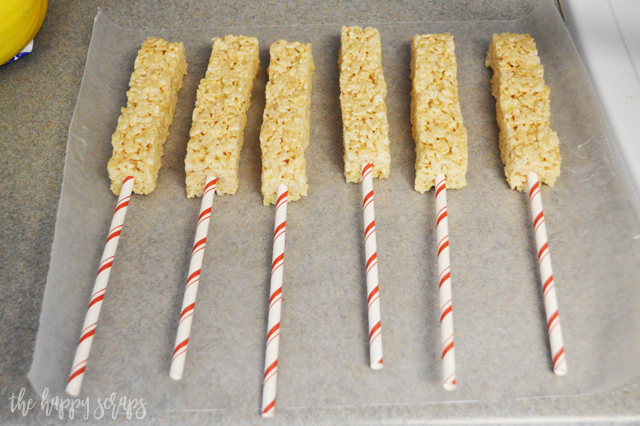 Once the candy melts are ready, dip the end of the rice krispie treats into the candy melts. 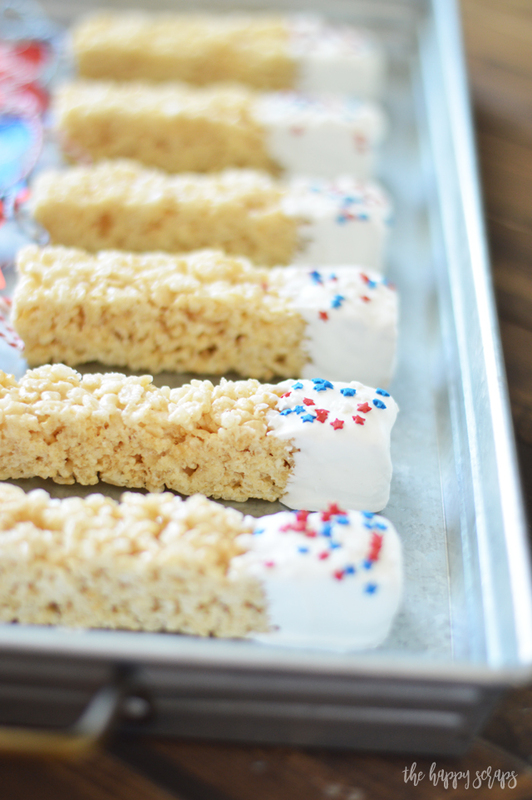 Before they dry, sprinkle with your choice of sprinkles. Punch holes in your tags. Tie your tag onto your paper straw. 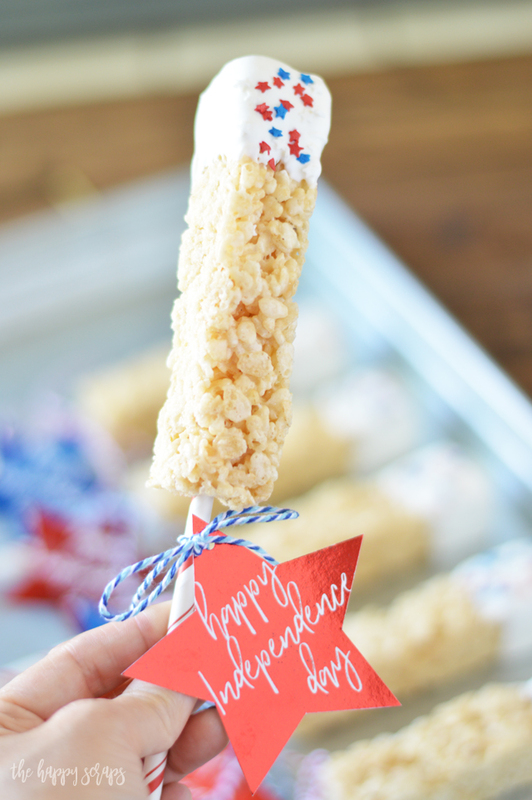 These make the perfect treat for the 4th of July or for a patriotic party. 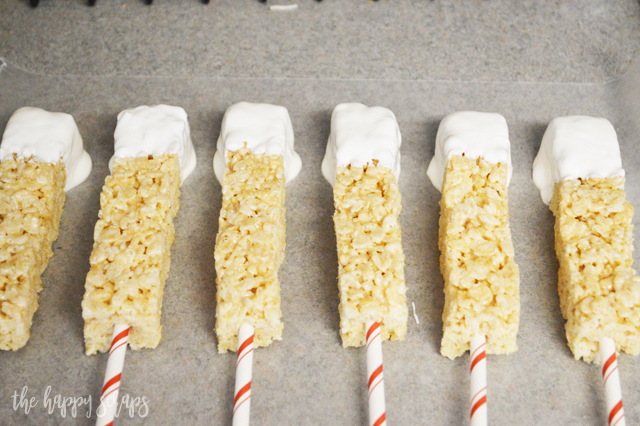 The candy melts and sprinkles add just a little bit of fun to the end of the rice krispie treat. It makes for a fun new treat for kids. 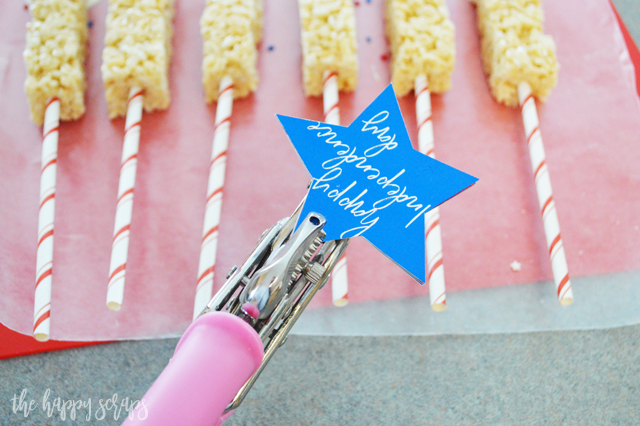 Make sure you stop on over and grab the printable of the Happy Independence Day tags, so you can foil your own! 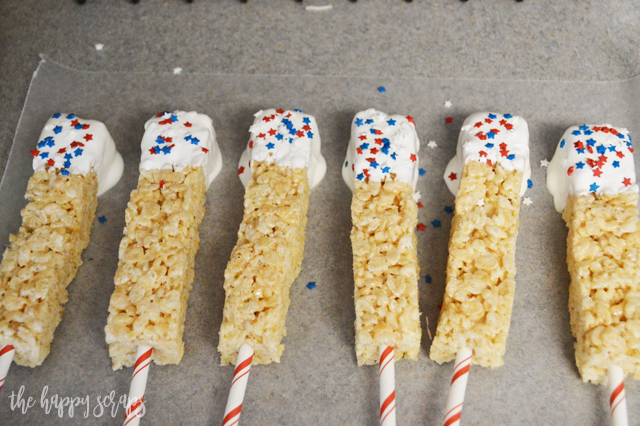 If you’re looking for more fun 4th of July projects, be sure to check out the gallery.